Australian flag carrier Qantas said it was in its strongest position ever after posting a jump in annual profit Thursday, with healthy returns across all sectors of its business, but cautioned it was facing headwinds from surging oil prices. Despite the solid result, Qantas shares were down 6.92 percent around midday at Aus$6.25 with investors spooked by the rising fuel bill warning. In the 12 months to June 30, net profit soared 14.9 percent to Aus$980 million (US$720 million), with higher earnings from its domestic arm a key contributor. Underlying profit before tax, the airline's preferred measure, which strips out one-time costs, was up 14 percent at Aus$1.4 billion, a new record for the airline, which is close to 100 years old. Qantas declared a final dividend of 10 cents per share and announced an on-market buyback of its stock, effectively returning Aus$500 million to shareholders. It will also pay its workers Aus$67 million in bonuses. 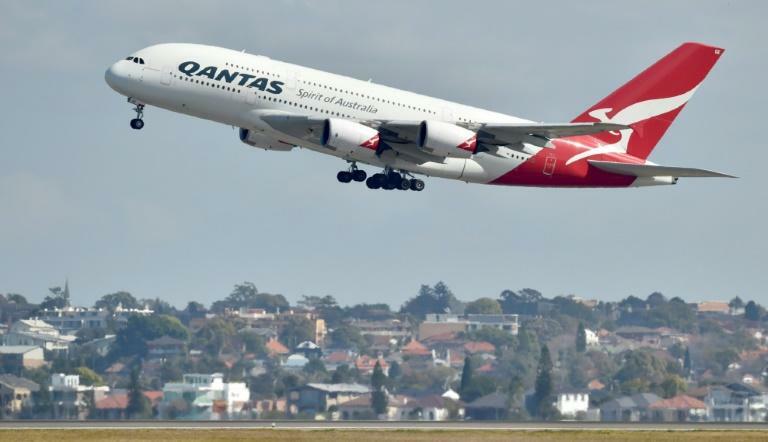 Chief executive Alan Joyce said the strong numbers reflected a buoyant market and the benefits of Qantas's ongoing work to improve the business, continuing a multi-year turnaround for the previously struggling carrier. This has seen an aggressive restructuring over the past few years, with jobs slashed, its fleet reduced and a shift away from loss-making routes. "After 98 years, the national carrier is the strongest it's ever been. And we see that as a great platform to keep making it better," said Joyce. "This record result comes despite higher oil prices," he added. "We're facing another increase to our fuel bill for (financial year 2019) and we're confident that we will substantially recover this through a range of capacity, revenue and cost efficiency measures, in addition to our hedging programme." The airline did not provide forward looking guidance but said its fuel bill was set to go up by another Aus$690 million in the 2019 financial year, a problem facing all carriers across the industry. A strong result was always on the cards after Qantas reported a bumper 17.9 percent jump in interim net profit in February, along with a share buyback. Its domestic business -- Qantas and Jetstar -- was a major contributor to the result, with its underlying profit up 25 percent up on the previous year. Qantas said it was seeing healthy levels of demand in all parts of the domestic market with the corporate and leisure sectors both expanding. Its international arm also did well, delivering a seven percent earnings increase off the back of a four percent boost in capacity. During the year, the "Kangaroo Route" from Australia to Britain became a shorter hop when Qantas introduced the first direct service from Perth to London -- one of the longest passenger flights in the world. The carrier also ordered six new Dreamliner planes from aviation giant Boeing to replace the last of its ageing jumbo jets, which have been a staple of the firm's fleet since 1971, and began introducing the 787s on routes including to San Francisco, New York and Hong Kong. Lounges in Sydney, Brisbane, Auckland and Tokyo would be upgraded, it said.